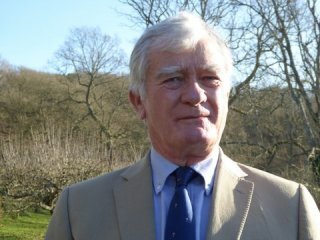 Past Chairman: We are saddened to say that Mr Thomas Aitken passed away December 2017. He was a true character and will be sadly missed by his family, colleagues ,customers, and friends. Managing Director. Mr Cameron Aitken, after leaving school took an MA in Business Administration at Strathclyde University followed by an MBA at the University of Western Ontario Canada. 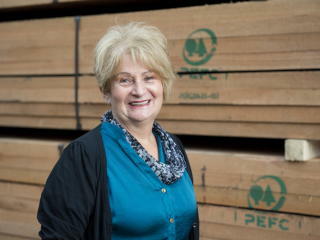 He has travelled widely in timber producing countries and in West Africa has carried out legal verification of suppliers to meet EU timber regulations for Responsible Purchasing. Cameron is a licensed pilot with instrument rating and a former member of the Lomond Mountain Rescue Team. 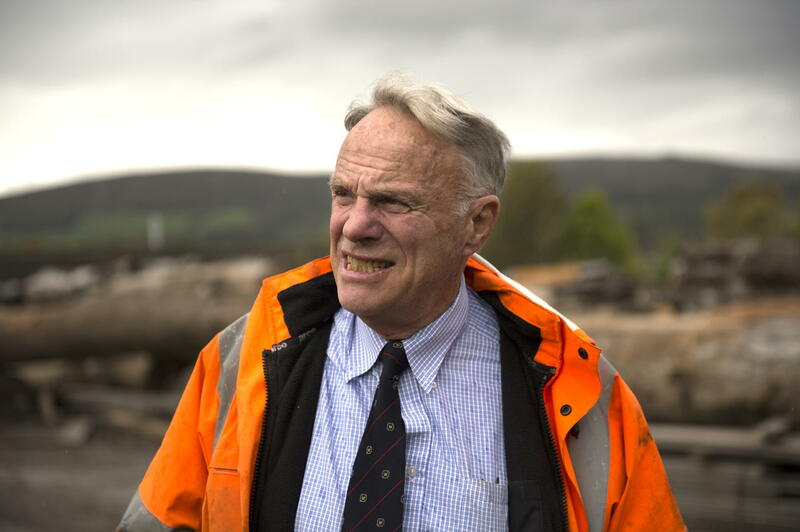 Roderick Aitken – Son of Thomas Aitken and the 5th generation of the family business. 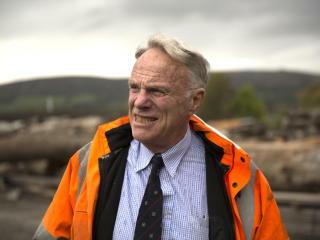 Roderick has a degree in forest management from The University of Aberdeen. 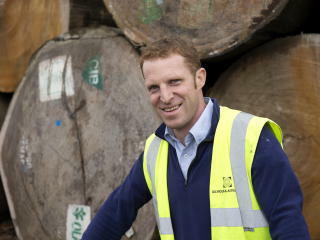 He has spent one year working in Malaysia’s forest and sawmilling sectors, then two years with BSW timber in Scotland. He joined G&A in 2005 and is now Operations Director. Roderick is Aitken and Howard’s principle contact for Greenheart including supply and auditing supply chain. He has carried out responsible purchasing audit work within West Africa, Far East and Guyana. Roderick a keen sailor and kayaker in summer, climber and skier in Winter. 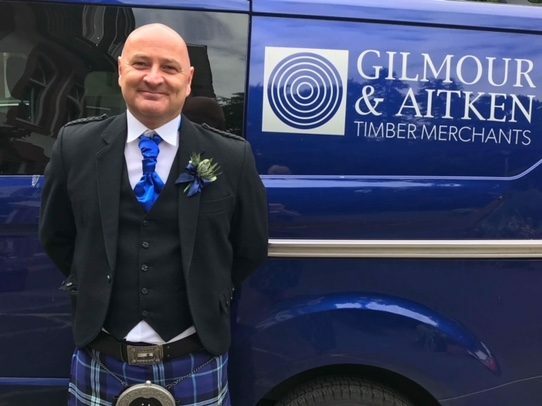 Andy Simpson: Andy joined the sales team as Scottish Sales Manager in 2017. 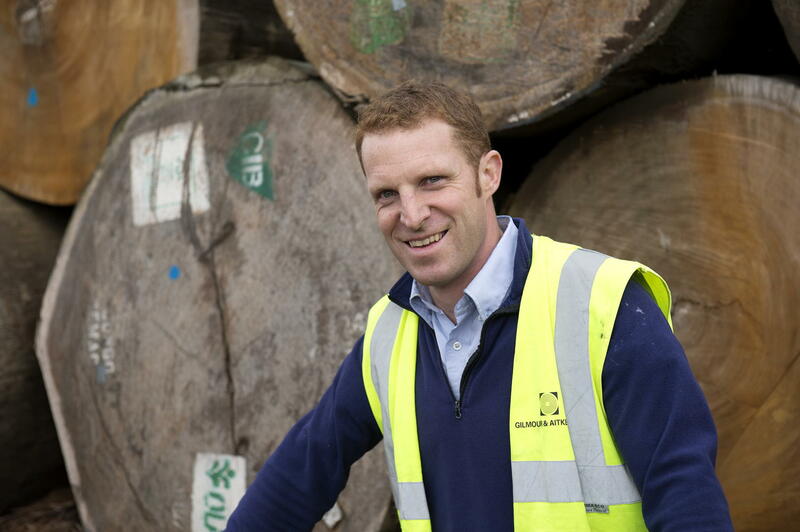 Andy has extensive knowledge of the timber market and has worked across Scotland in his previous sales roles. Andy was with Timbmet for 17 years, prior to that he was 5 years with M&N Norman, and previous to this Vincent Murphy and Woyka. Andy is very keen on music, going to gigs and festivals, and taking big walks with the dog and his family. Patricia Brooks. Patricia joined the company in 1985 after working for Polaroid. She manages credit control, and Scottish customer accounts. She is depute to Cameron for Gilmour and Aitken Sales and Marketing. Pat is a keen long distance runner mainly for cancer charity. Nicola Aitken: Nicola started working for Gilmour and Aitken part time in 2015 as Marketing and Project manager. 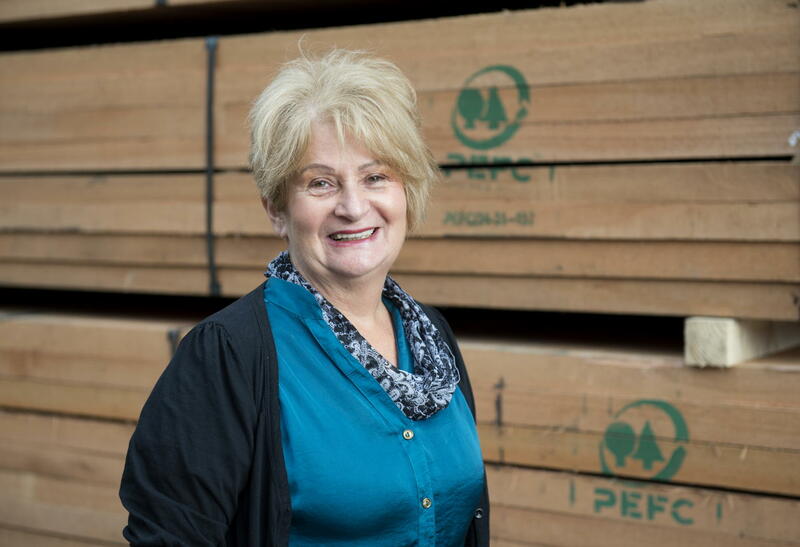 Nicola manages the marketing for the firm and manages projects such as the installation of the biomass boiler on the site. She is currently balancing working on projects for the yard with studying for an MBA at University of Strathclyde. Nicola is a keen sailor and skier. 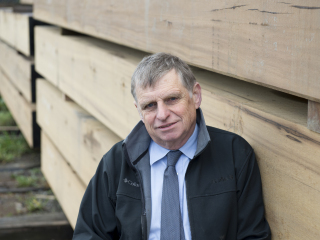 Grahame Wardlaw: Grahame started working for G&A 28 years ago. 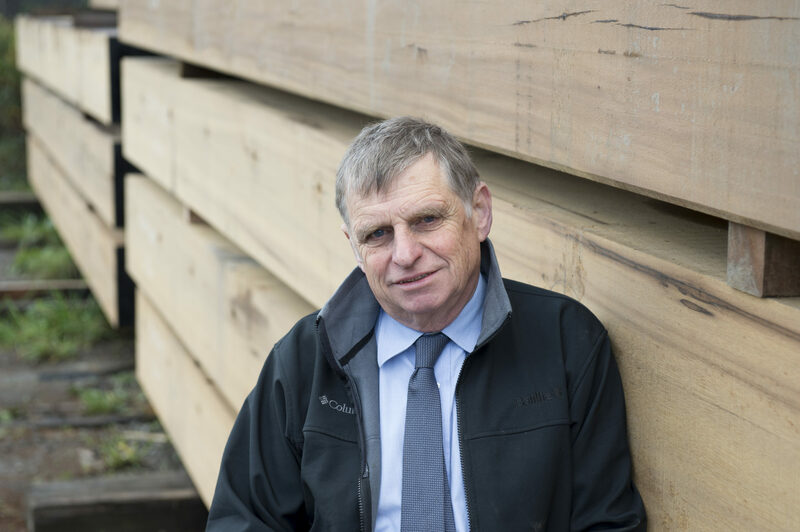 Grahame briefly left the yard to work as an Auditor for BM Trada for 7 years, but returned to manage Health and Safety and Chain of Custody for the business. Grahame is a keen runner and has completed many long distance Scottish runs. Paul Lynch: Accounts. Paul joined the form in 2016 as Financial Controller. Paul comes with excellent experience after eleven years as head of finance for the salmon farmers Scottish Sea Farms Ltd. He worked in the leisure sector for nine years with senior roles for the De Vere Hotel Group based at Cameron House Hotel, and in the construction industry as Finance Director of Rokbuild. Paul is a keen football fan and enjoys travelling. Joanne Tamburini: Accounts. Joanne joined the firm in 2016 as financial accountant to support Paul in the finance team. Joanne is a qualified accountant and is responsible for the day to day accounting processes. She brings with her excellent organisational skills following several years of running her own fitness business, and prior to that in Aggreko’s group finance team. Joanne is a keen fitness fan, loves to travel and going to concerts. Stuart McCabe: Trade Centre Manager. Stuart has worked for Gilmour & Aitken trade centre for 30 years. Starting as a charge hand, he has worked in all areas of the Trade Centre. In 2016 he was promoted to Trade Centre manager following Ken Yates retirement. He has increased stock levels of popular lines and introduced new product lines into the centre. Stuart loves to travel, going to concerts and is a keen football fan.